Buds relatively long and narrow, slightly curved; corolla white at base flushed pale pink towards tip (deeper pink in bud); style tip dark red; anthers brown (darker than ‘Shining Light’). Flowers: (June) July–September in cultivation. 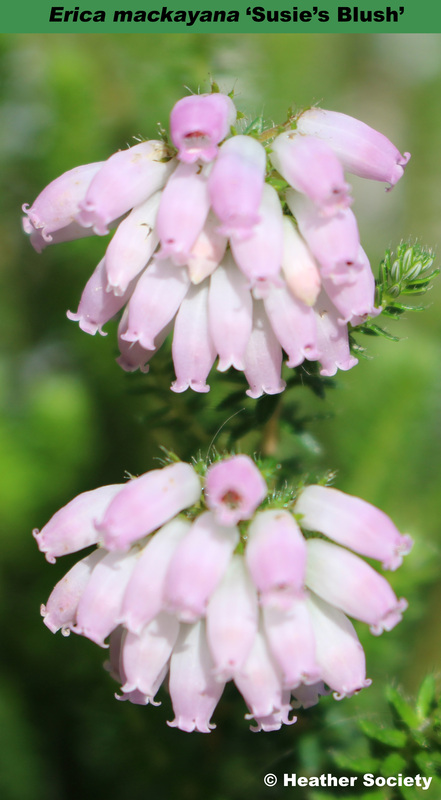 Bushy heather which responds well to pruning, with vigorous upright shoots to 0.35m tall, to 0.5m across (after 8 years in cultivation; pruned); leaves densely and evenly arranged on shoots, bright green, paler than ‘Shining Light’; marginal cilia may be gland-tipped. Not available commercially as yet, but one to look out for.